Everything in .NET is a type, even System.Type, which governs their metadata. Types exist in a hierarchy called the Common Type System (CTS). Distilled, there are two kinds of types: value types and reference types. I alluded to this distinction Saturday earlier today when discussing strings, which are reference types (classes) that behave a lot like value types (structs). The principal distinction is that value types live on the stack and reference types live on the heap. This means that all of the data in a value type is contained in one place. The CLR sets aside memory for the entire object and moves the whole thing around as a unit. Naturally, this means value types tend to be small: numbers, characters, booleans, that sort of thing. Reference types also partially live on the stack but only as a pointer to the heap where they keep their main data. The .NET memory manager can move reference types and their data independently as needed to handle different situations. Debug.Assert(12345 == i); // Succeeds! Debug.Assert(54321 == MyClass.Count); // Succeeds! Debug.Assert("Hubert" == MyClass.Name); // Fails! When the CLR passes i to the second ChangeStuff method, it creates a copy of i on the stack and passes in that copy. Then on line 15, we create a third copy of i that replaces the second copy on the stack. But lines 16 and 17 aren't creating copies of MyClass; they're using the pointer to the instance of MyClass created on line 4, so that any operations on MyClass work on the very same instance. I recommend new developers read the MSDN article on Types I referenced above. Also read up on boxing and unboxing and anonymous types. OK, I lied. 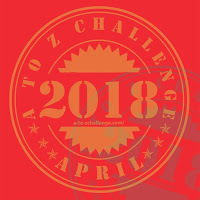 I managed to find 15 minutes to bring you day 18 of the Blogging A-to-Z challenge, in which I'll discuss one of the coolest feature of the .NET ecosystem: reflection. Reflection gives .NET code the ability to inspect and use any other .NET code, full stop. If you think about it, the runtime has to have this ability just to function. But any code can use tools in the System.Reflection namespace. This lets you do some pretty cool stuff. The System.Reflection.Assembly class also allows you to create and activate instances of any type, use its methods, read its properties, and send it events. Reflection is hugely powerful and hugely useful. And very, very cool. Posting day 17 of the Blogging A-to-Z challenge just a little late because of stuff (see next post). Apologies. Today's topic is querying, which .NET makes relatively easy through the magic of LINQ. Last week I showed how LINQ works when dealing with in-memory collections of things. In combination with Entity Framework, or another object-relational mapper (ORM), LINQ makes getting data out of your database a ton easier. These are naive examples, of course, and there are many other ways of using EF. For example, for field mapping we might use a package like AutoMapper instead of rolling our own field-level mapping. I encourage you to read up on EF and related technologies.